In all honesty, this is going to be a swift review. 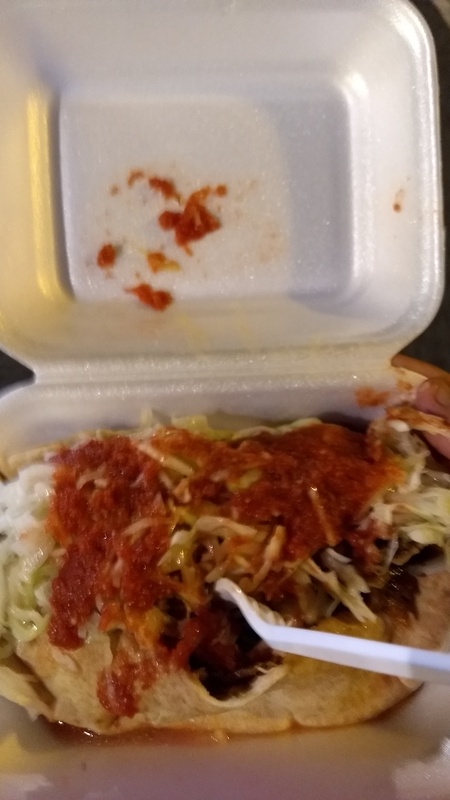 This, ladies and gentlemen, is a doner kebab. Let’s start with the positives. The sauce is actually pretty bloody good, in that it’s the same Turkish style that is fairly rare in Glasgow (only Turquoise and Istanbul do this as well), and, well, there’s the positives complete. It was served in a pitta bread. The meat portion was pitta-fully (ha!) small. Which I should be grateful for, because it was also awful. The salad was, ok, I can’t complain about that. LOOK AT IT. IT’S TINY. AND HORRIBLE. Unfortunately, for what amounts to daylight robbery (albeit at 1am in the morning), they get the worst possible score on Shawarma Police. Zero? No. MINUS ONE THOUSAND. Posted in Glasgow.Tagged bad, don't go here please, doner, Glasgow, kebab, really awful, worst kebab in Glasgow.